Gloria, Princess of Thurn and Taxis resides in one of the largest privately owned palaces in the world and is widely known as a successful businesswoman, globetrotter, motorbike lover and art collector but also as a portrait painter. Next week she will present a new series of paintings in Berlin. Therefor she portrayed seven famous people such as fellow collector Christian Boros. The exhibition will be accompanied by a book called “The Seven Deadly Sins” which includes essays by the portrait subjects. Larry’s List spoke with her about the seven deadly sins and will report live from the opening next Thursday via Instagram. 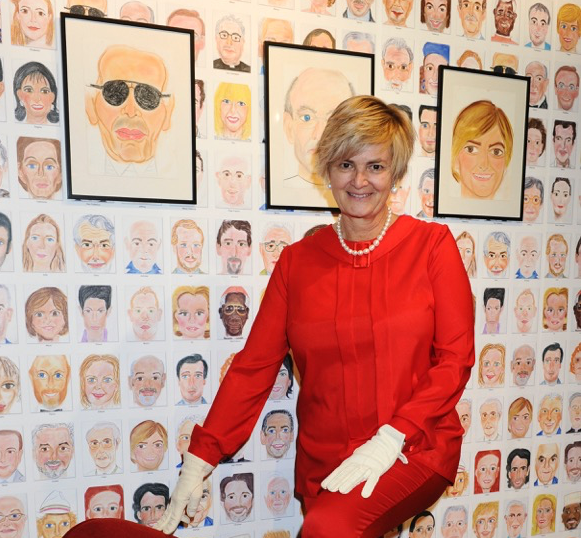 Gloria Princess of Thurn and Taxis, you are not only a collector but also a painter. For those who don’t know your portraits yet, could you please introduce your paintings and the idea behind them? I am collecting contemporary art since almost 30 Years now and I always found it very difficult to commission portraits. Nobody likes to do it. Three years ago, I started painting portraits of my family and friends. Everybody seemed to be quite happy with the results. With this encouragement I went on doing mainly faces and now I am doing paintings of the whole body as well. On the 30th of March you will present a new series of paintings at Galerie Robert Eberhardt in Berlin. Please tell us more about the exhibition and the accompanying book called “The Seven Deadly Sins”. This particular project is connected to a book that deals with “The Seven Deadly Sins”. Seven famous people speak about one particular sin each. The famous art collector Christian Boros for example talks about greed. 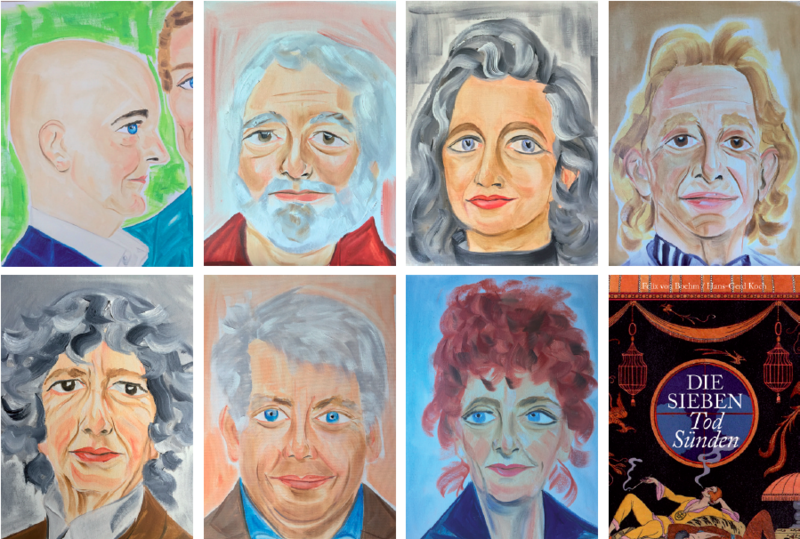 I painted each of the participantsof the book project, who are famous people from the art and cultural world. The book will be presented at Galerie Eberhardt, which is located in Berlin and therefor the gallery also chose to show some other portraits that I did of Berlin-based celebrities. The book also contains texts by collectors such as Christian Boros or famous club owner Rolf Eden. What can we expect? Which topics are these conversations dealing with? The conversations talk about the particular sin the authors have picked. Rolf Eden talks about lust. That is quite appropriate don’t you think? I hope Rolf will like the way I interpreted his face. If you can’t make it to the opening you can follow our live broadcast on Instagram.